It is finally December. The dying leaves are falling of the trees, and the frost is gathering on the cold windows. With December comes a flurry of festive holidays like Christmas or Hanukkah. But with it also comes a piece of my Swedish heritage. St. Lucia Day is a Swedish holiday celebrated on December 13th. It celebrates Swedish heritage and stories of a lady named St. Lucia. It is said that she was killed for her faith, and she used to secretly bring food to persecuted Christians in Rome. The Swedish celebrate this day by going to church and singing songs. But at home, the oldest daughter would get up early and make her parents breakfast. She would serve them breakfast in bed in a white dress with a red sash and a crown of candles on her head. 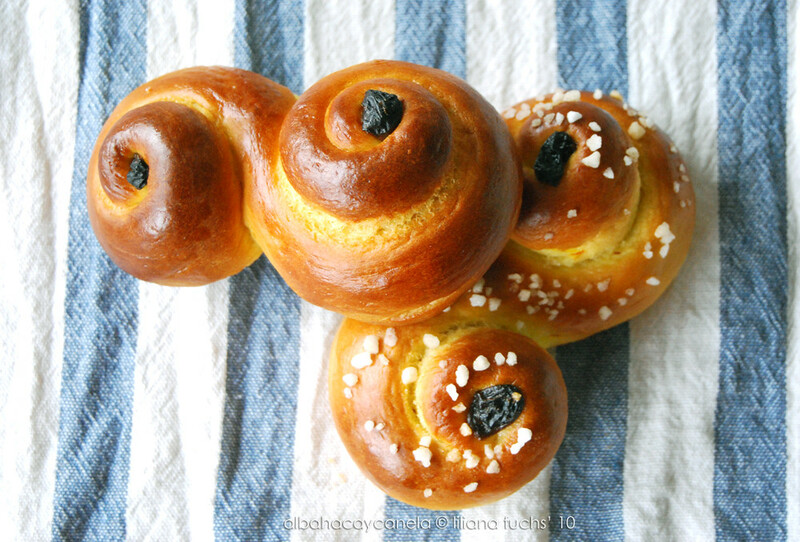 Last year for St. Lucia Day, we made Lucia buns. They are a kind of saffron bread shaped like an S and is decorated with pearl sugar. Almost nothing is better than biting into the warm, yellow treat. They were so good! The smell of homemade bread wafted throughout the house for days afterward, and it made it feel welcoming and warm. These are what what Lucia buns look like. Aren’t they pretty? We didn’t put raisins in ours, but it seems like a good idea. I am so excited for this year’s St. Lucia, and I can’t wait to make more St. Lucia treats!